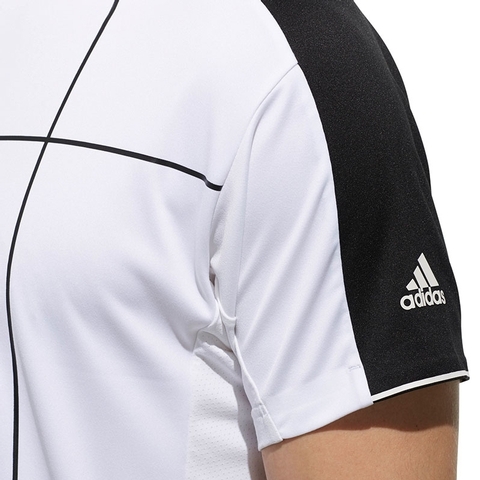 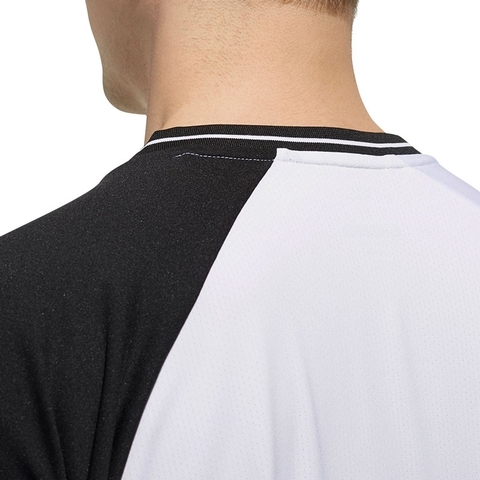 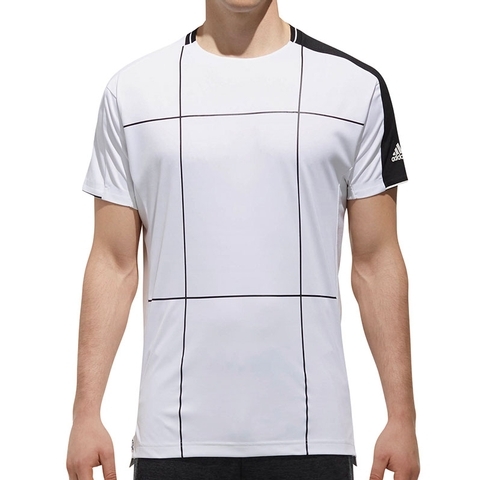 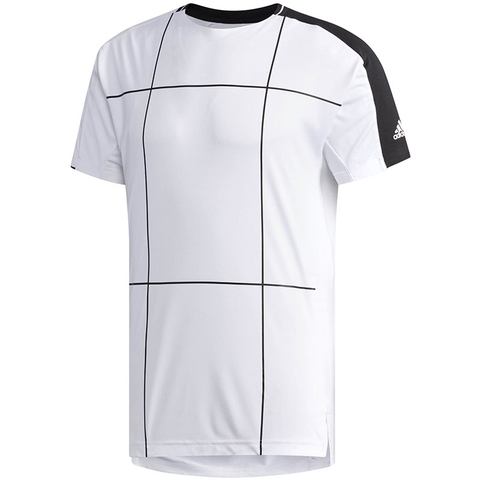 Made to manage moisture, this tennis t-shirt keeps you dry and in control of every point. 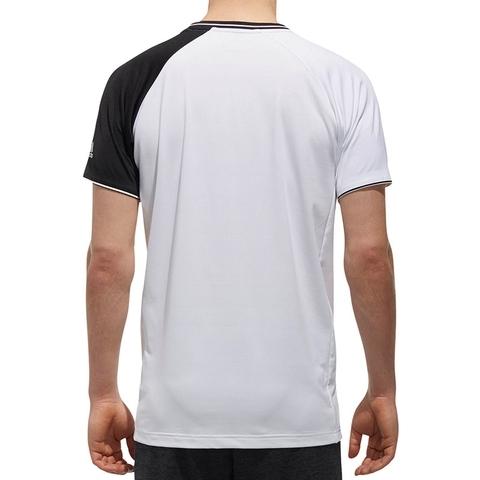 Cut with a slight droptail hem, it's made of smooth, lightweight fabric that channels sweat away from your skin for match-long comfort. 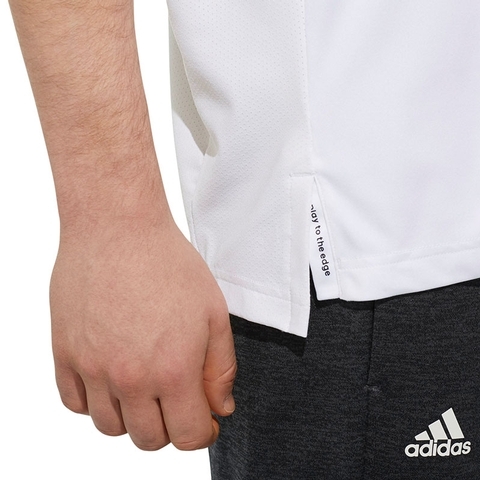 Mesh panels under the arms and on the back increase air flow.